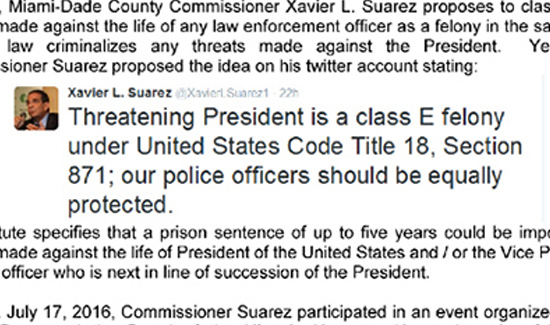 John Rivera, president of the Dade County PBA, asked us to circulate this message. 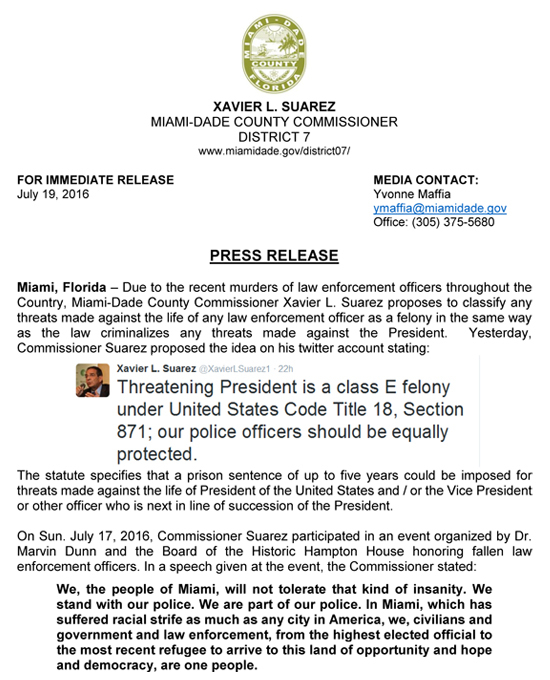 Miami-Dade County Commissioner Xavier L. Suarez is proposing that anyone threatening the life of a police officer be charged with a Class E Felony under the Federal Code, which is what one is charged with if they threaten the life of the President of the United States. The time to do this is now, he says. Do you think this is a good idea? If so, get something going in your own community.